Welcome to the NVC Peace and Conflict Studies Program! The Peace and Conflict Studies program at Northwest Vista College in San Antonio, Texas addresses issues of social justice and develops skills in conflict resolution and conflict transformation through interdisciplinary study. The goal of the program is to educate students to become more fully engaged and knowledgeable citizens of our local and global community. The mission of the Peace and Conflict Resolution Studies Program at Northwest Vista College is to examine, understand and address through critical thinking the root causes of violence and conflict as a result of social, political and economic inequalities in an effort to promote peaceful and non-violent methods of conflict resolution geared towards achieving social justice, raising awareness of the human condition through social responsibility and human rights, and creating the necessary “space” for individuals, groups and communities, locally and globally, for coming together and building bridges across cultures. As an interdisciplinary study, the Program aims to transcend the classroom into real life applicaton of conflict resolution through collaborative endeavors with other educational institutions as well as community organizations. 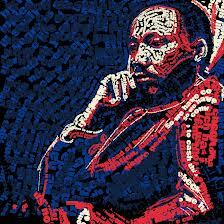 50th Anniversary of Dr. Martin Luther King, Jr. speech "I Have a Dream"!